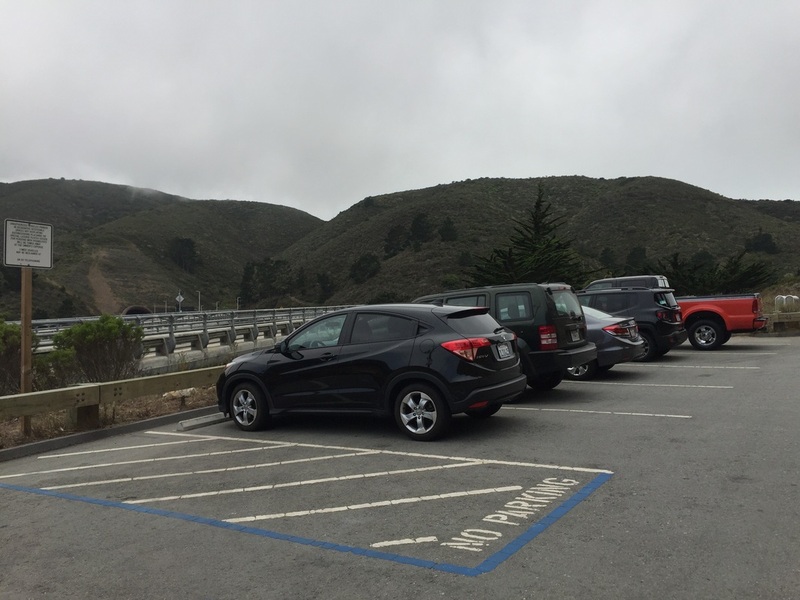 Parking: Free (limited) parking near the address above. There are 5 spots closest to the trailhead and a 7 more viewable down the road, at the end of the Devil's Slide Trail. 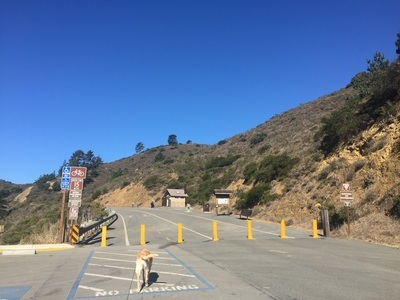 Trailhead is up a ramp off of Hwy 1. 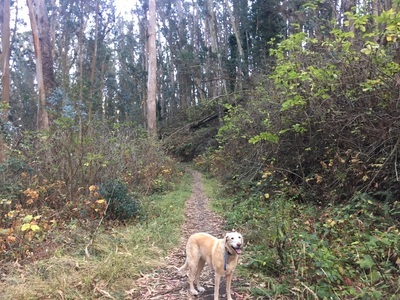 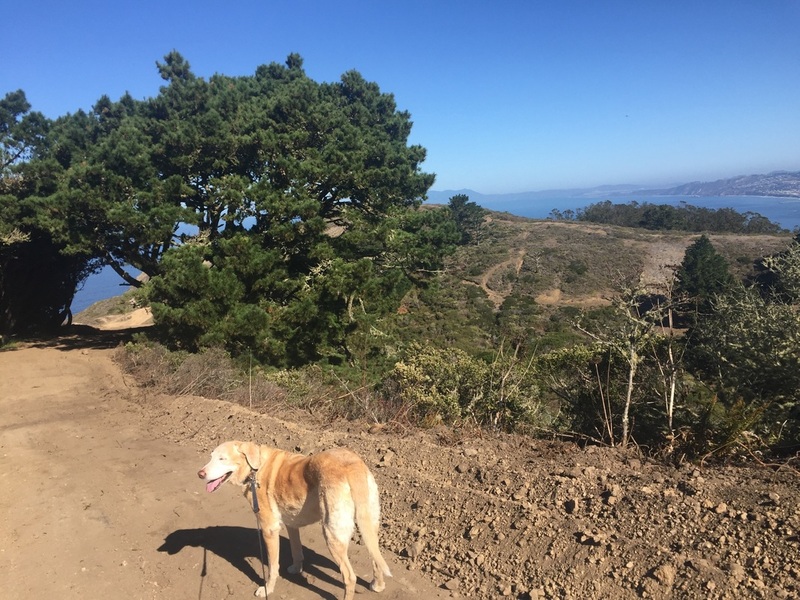 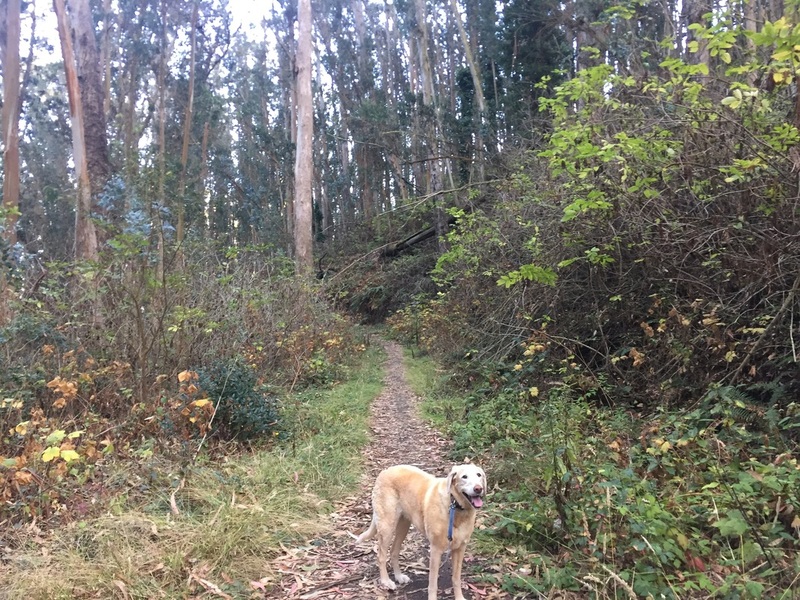 Description: This is a hard to find hidden gem, and has become one of my favorite hikes in the bay area. 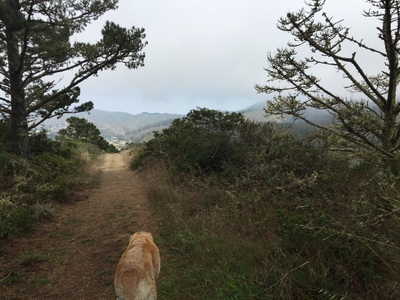 Even on a weekend, you may have the place all to yourself. 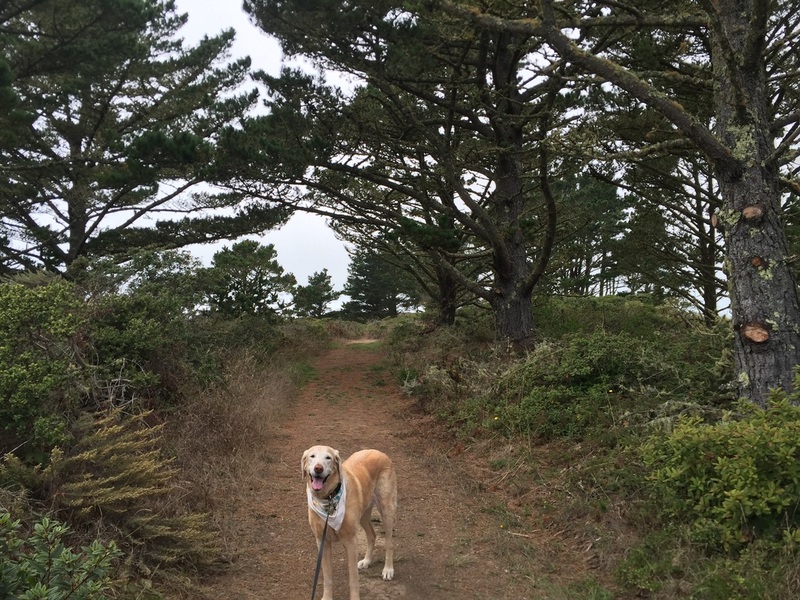 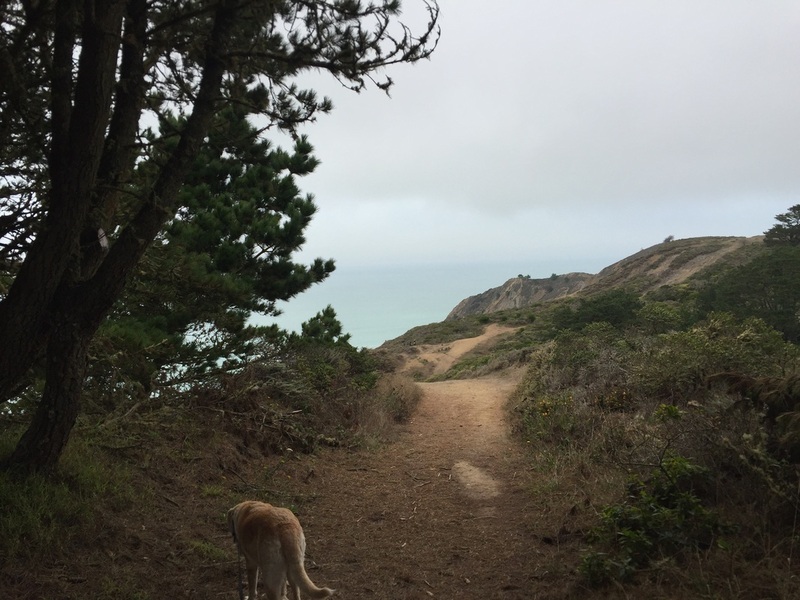 This park has beautiful trails hugging the bluffs with panoramic views of the ocean. 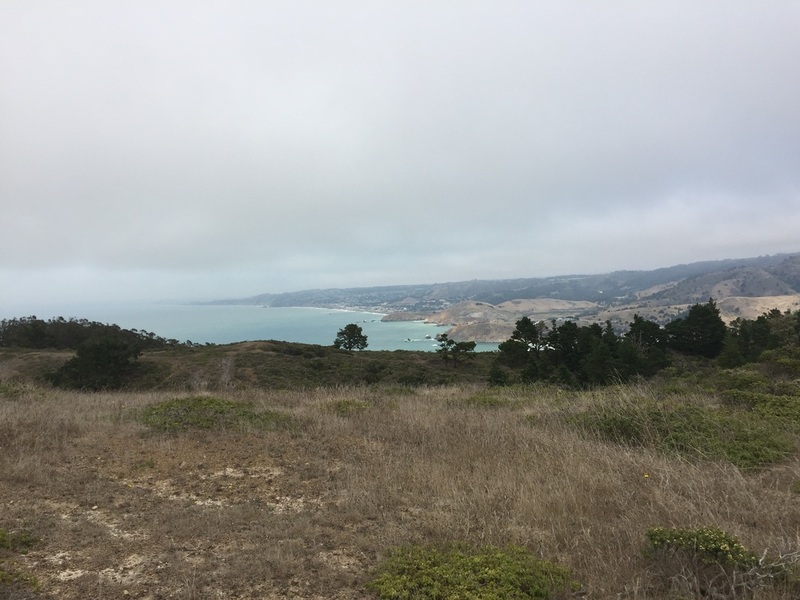 It also offers great lookout points to whale watch. From the parking across from Devil’s Slide, look down Highway 1 (away from Devil’s Slide) and you will see a ramp gently sloping uphill. 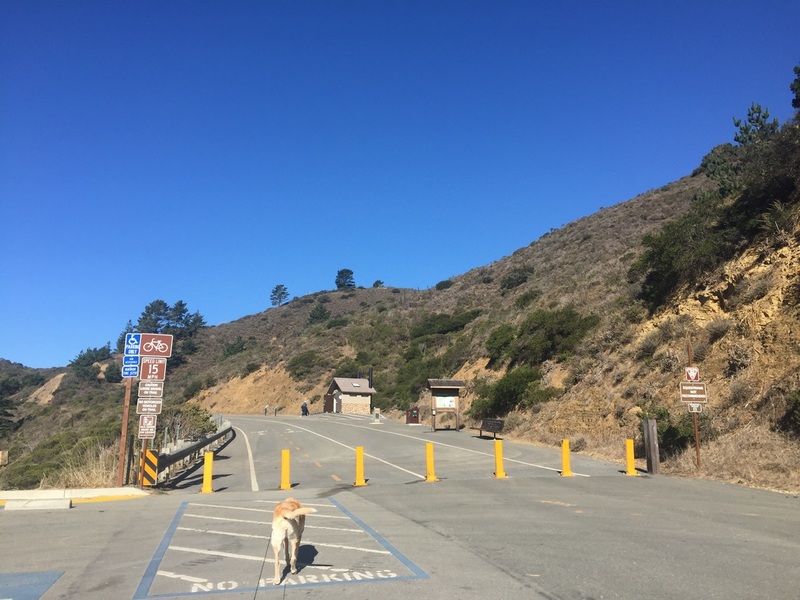 Take this ramp and you will soon see a brown welcome sign. Head uphill via the narrow trail and you will come to a large bulletin board with information. Head past it and you will see a trailhead sign for the South Ridge Trail. 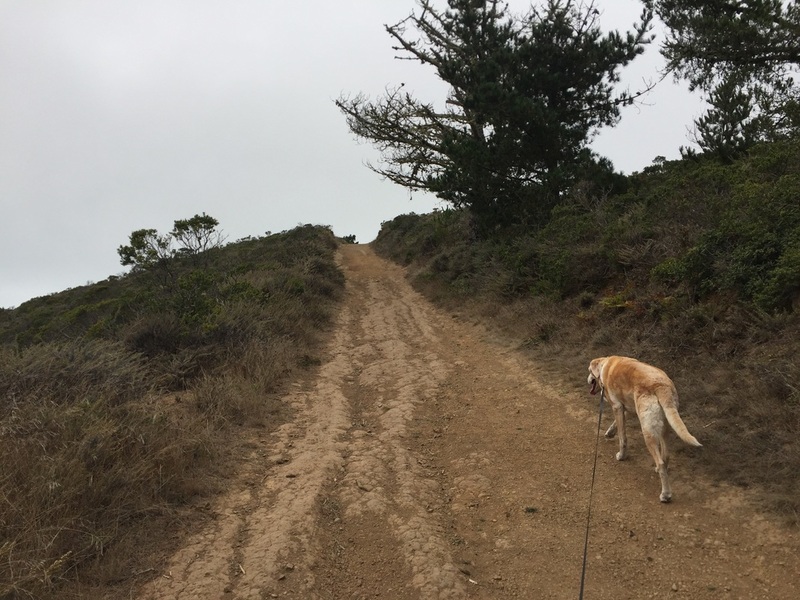 This trail climbs uphill at a moderately steep pace. It used to be rocky but has just been graded, so it's easier on your feet. 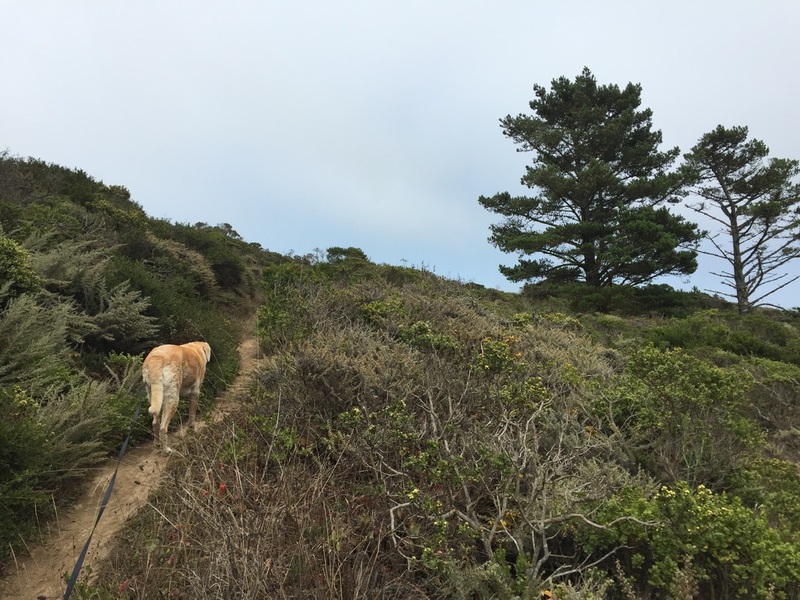 You’ll pass moss-covered trees and coastal shrubs. Continue your hike up to the top and the trail will open up to views of the ocean. 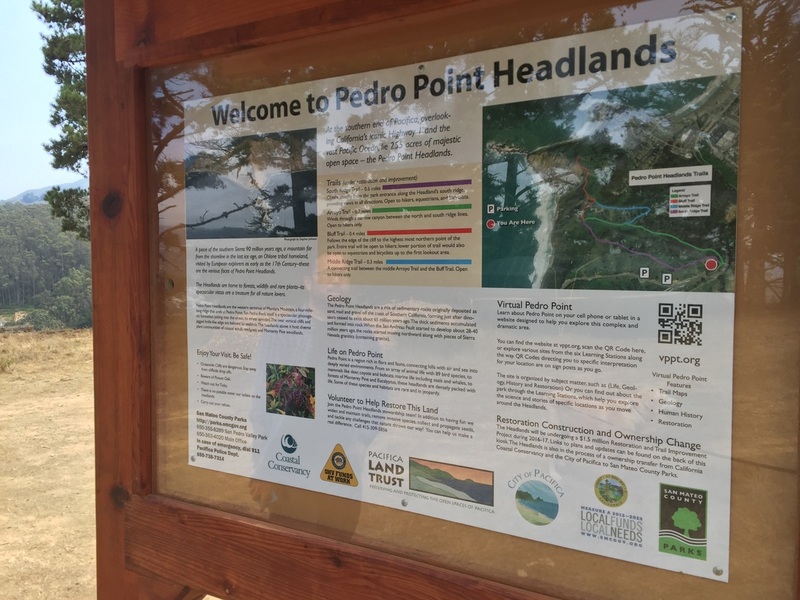 You will be able to see San Pedro Point, a triangular shaped rock on one side, and Egg Rock, near Devil’s Slide on the other side of the coast. 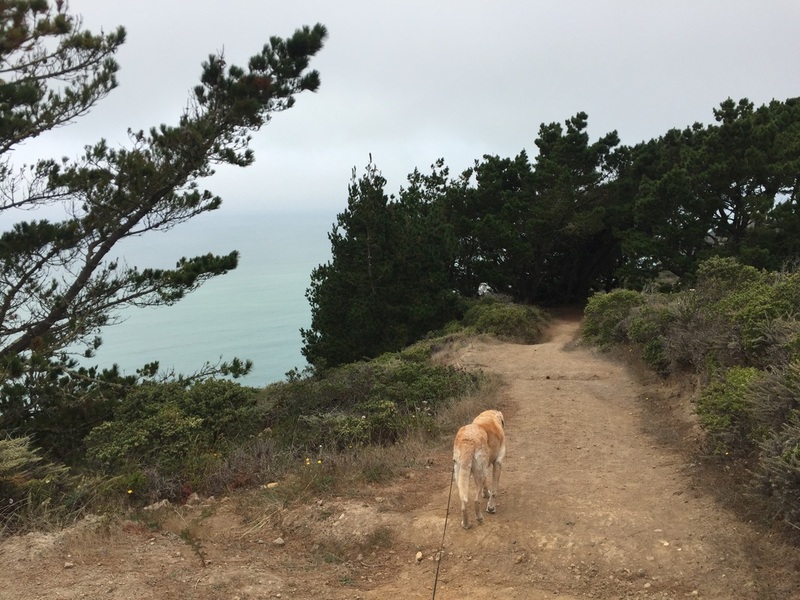 The trail will begin to descend and you’ll have views of the ocean on either side. 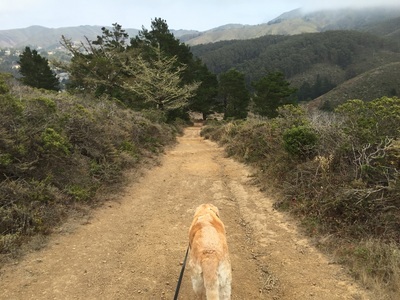 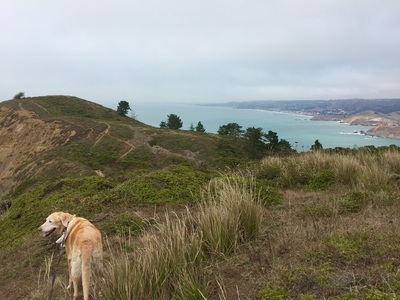 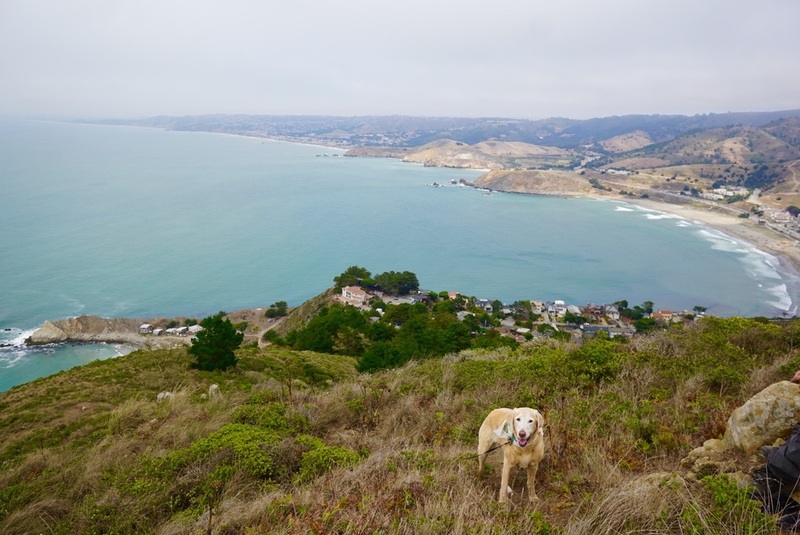 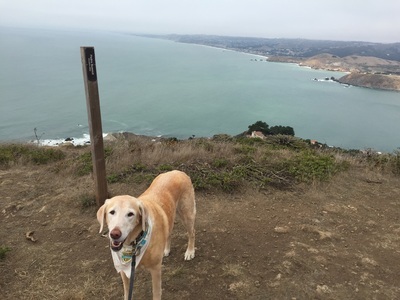 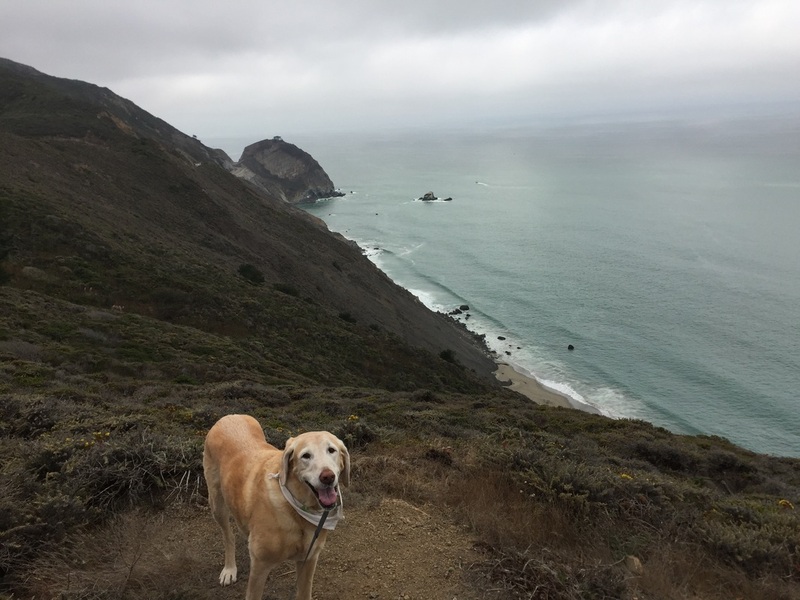 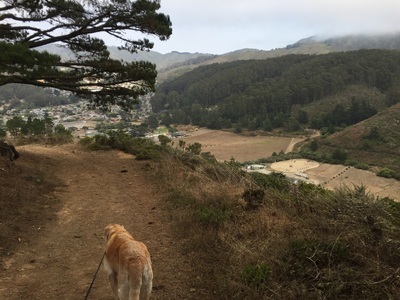 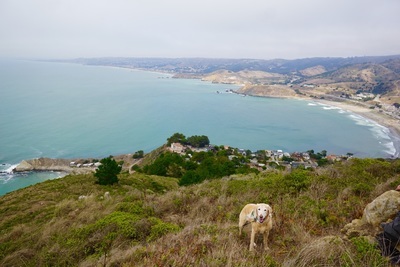 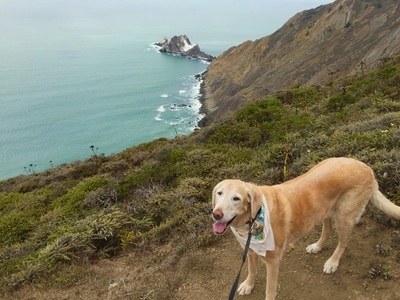 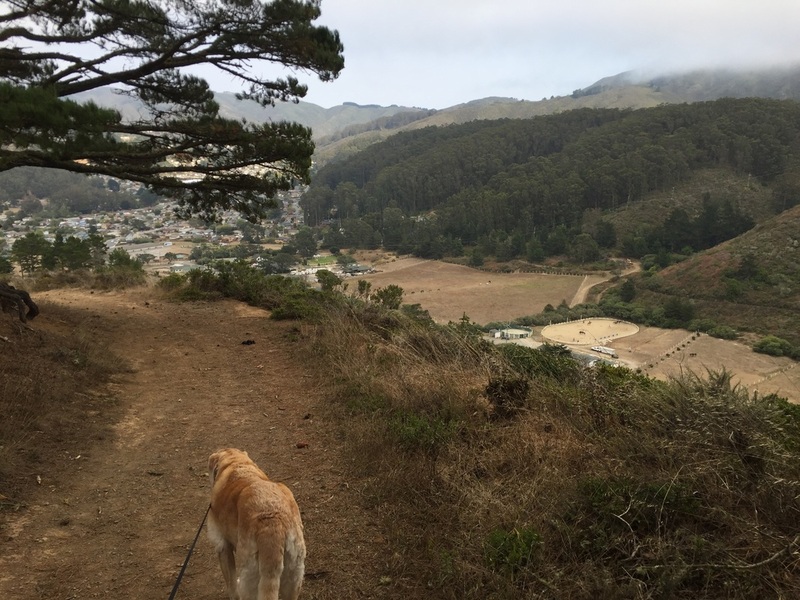 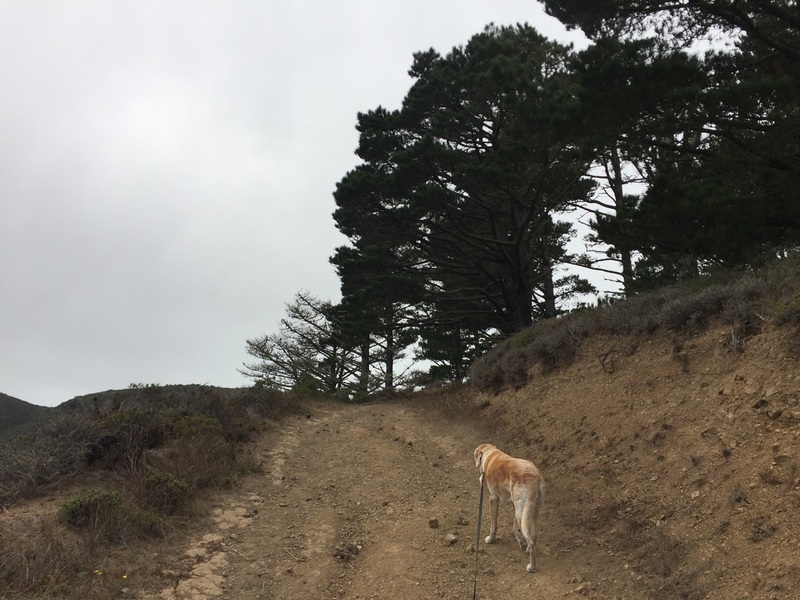 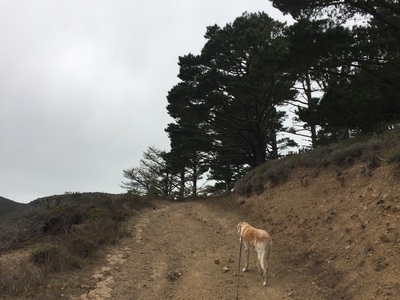 Take the Bluff Trail to Pedro Summit for breathtaking views of the ocean towards Mori Point. This is also a great place to whale watch! 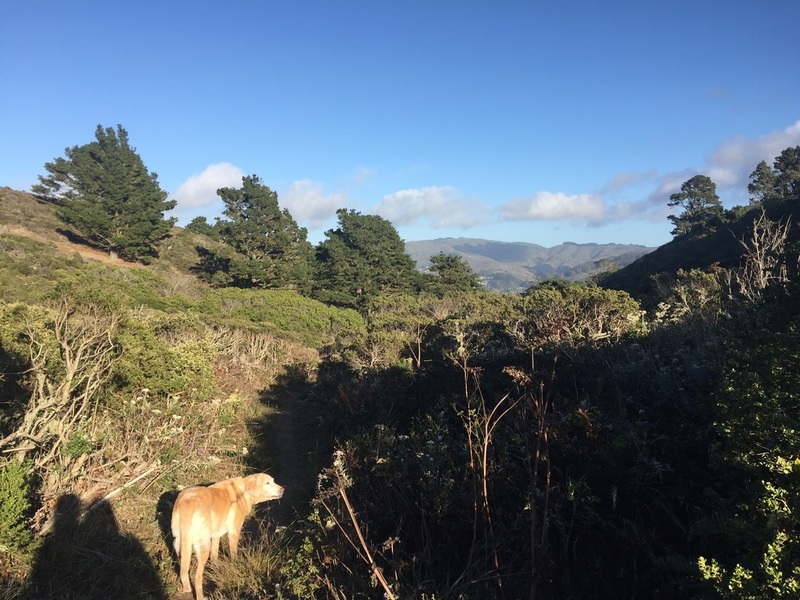 You can return the way you came or head back via the Middle Ridge Trail and Arroyo Trails for a slightly longer hike. If you return via the Arroyo Trail, you will avoid the last stretch of uphill on the Bluff Trail. 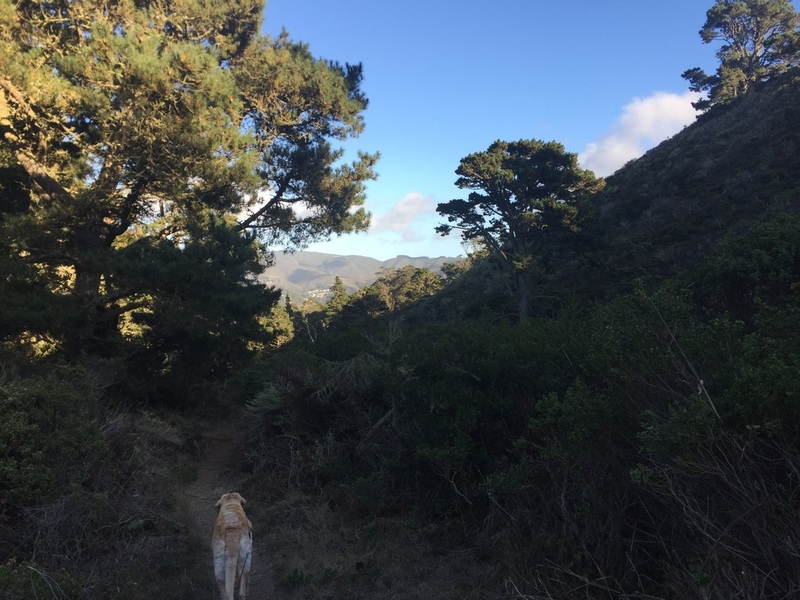 The Arroyo Trail will also give you a change of scenery. Although it doesn't have any ocean views, you'll pass vibrant green trees towering above you and some ferns lining the trail as you hike down into the canyon. 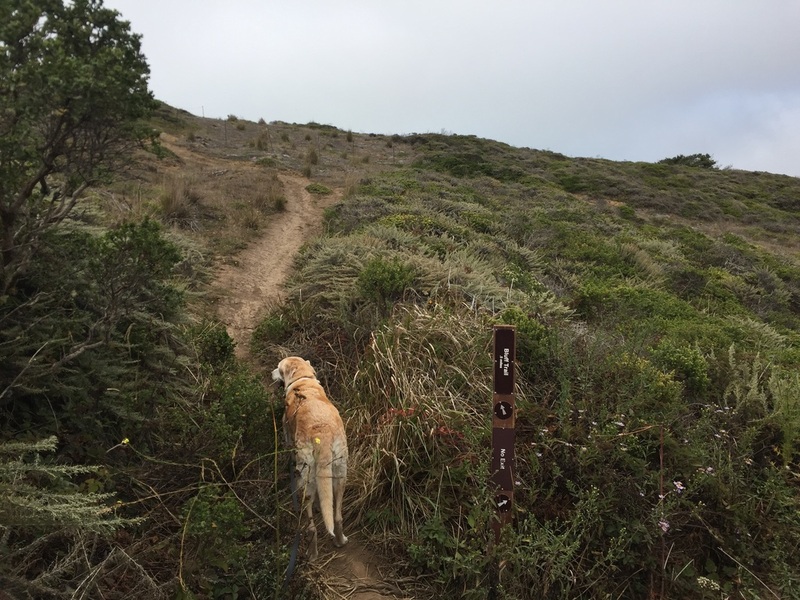 The trail ends right below where you started on a gravel trail. 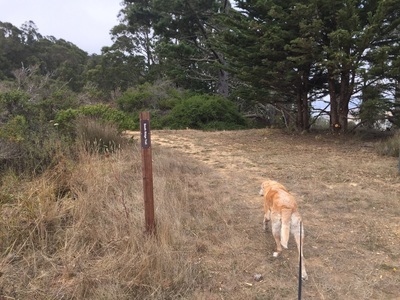 I would recommend walking up where the trail splits to return to where you started (you'll spot the construction vehicles and fence above you that you noticed when you began your hike). 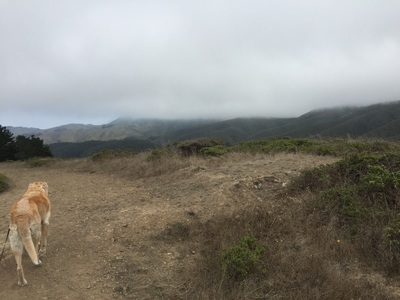 However, if you continue down you'll see a long gate at the other exit. This is for construction vehicles and there's room to walk around the gate. 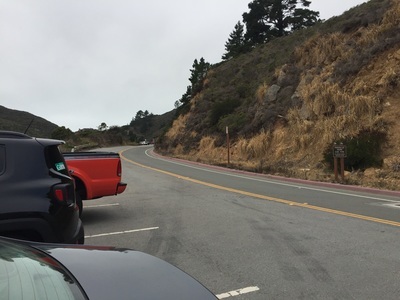 You will have to walk a few feet up the highway to return to your car. 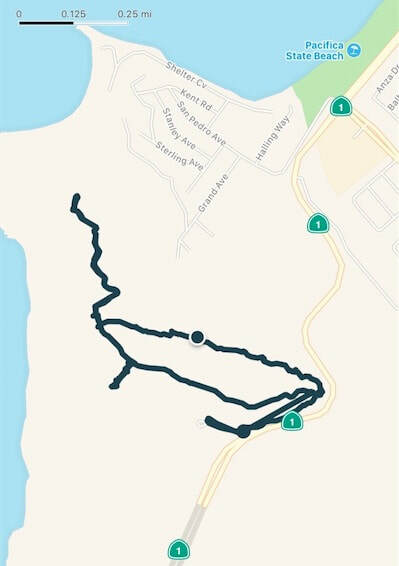 There's a large shoulder, but I would recommend avoiding this altogether and just exiting where you began your hike. 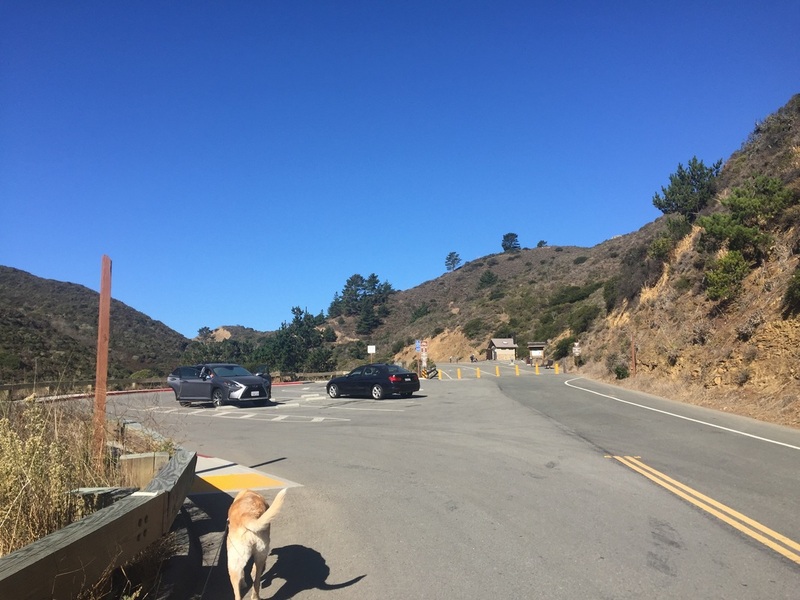 When you return to your car and exit onto Highway 1, be careful and patient if you’re heading back to Pacifica, because traffic does not stop on either direction on the highway and you will have to wait for an opening. 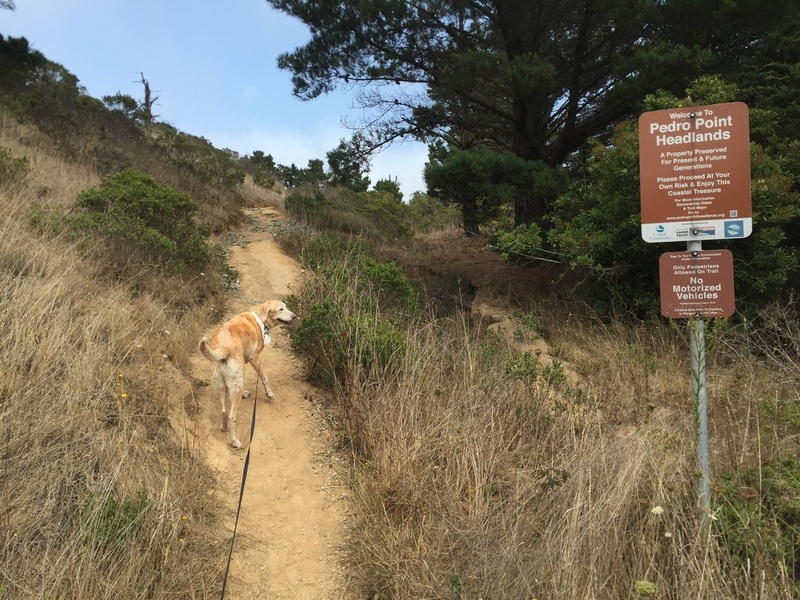 There are no restrooms, garbage cans or running water on this trail. When you park, if you walk away from the trailhead towards Devil's Slide, you'll soon notice a building with pit toilets around the bend. 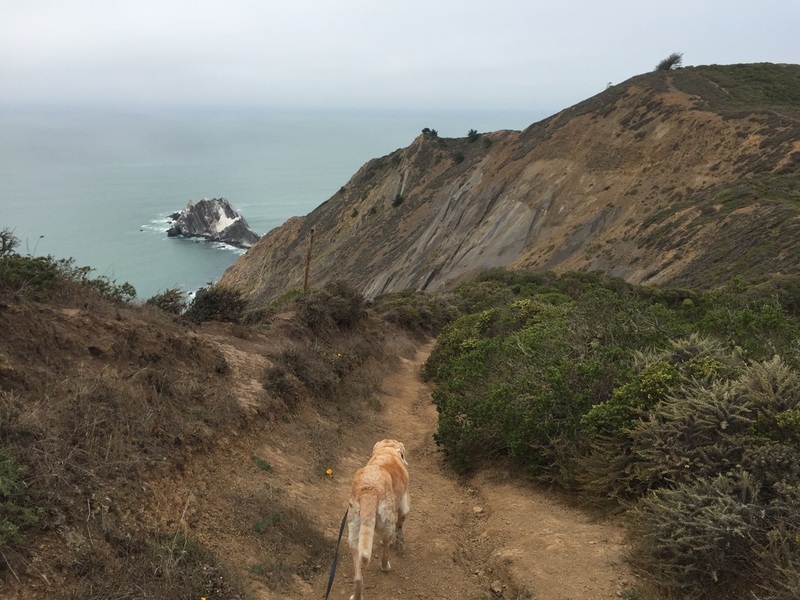 There is also a water fountain at the trailhead to Devil's Slide. 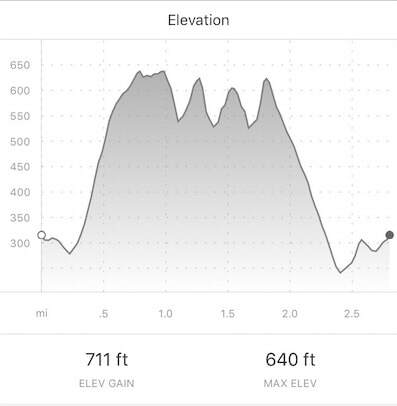 The South Ridge Trail begins as a steep, mostly exposed climb up, and once you reach the top you'll have panoramic ocean views. 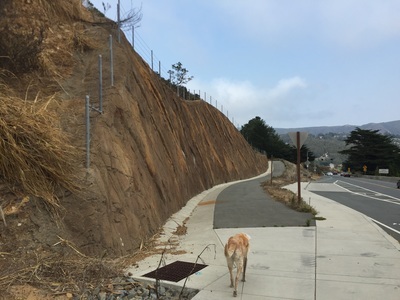 The Bluff Trail continues along the bluffs, dips down a couple times and then climbs to the summit overlooking the popular surfing beach below. 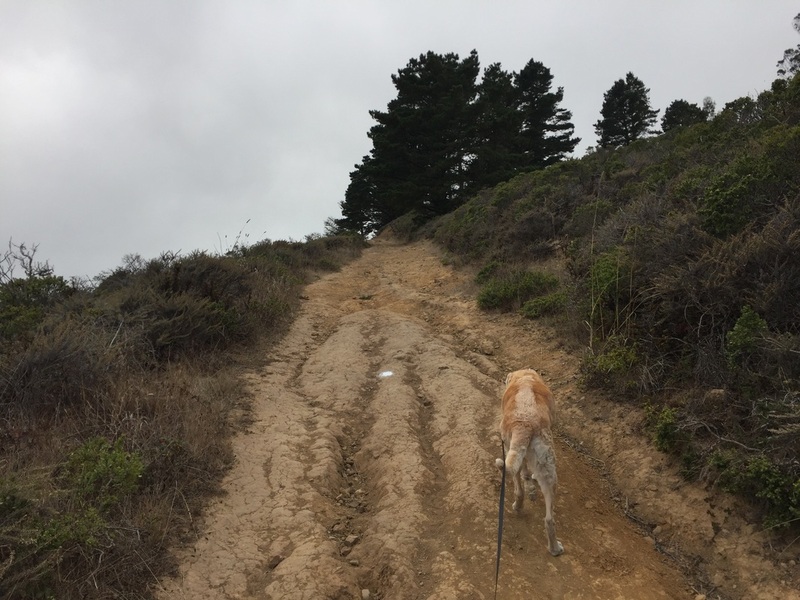 You will have to retrace your steps a bit, up the steep hill you came down to reach the Arroyo Trail. 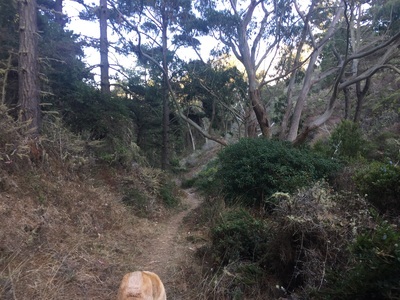 This narrow trail snakes through a pine forest and then continues into a eucalyptus forest lined with vibrant green ferns. 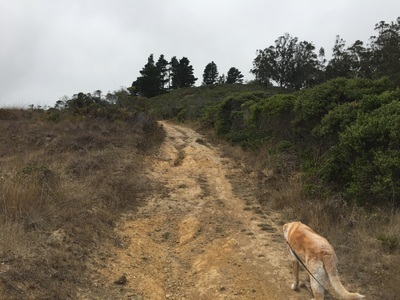 It climbs back up gently, and as soon as you see a trail split to your right, take it and you'll soon see the construction equipment near the trailhead. 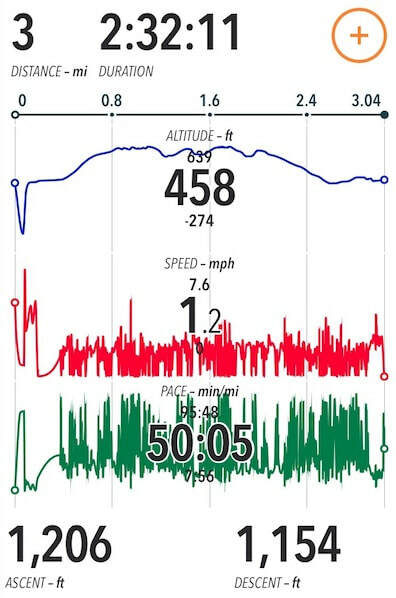 We stopped to take many photos, and we also took a short, unmarked side trail, so the data below may be slightly off and should not take you nearly as long to hike.